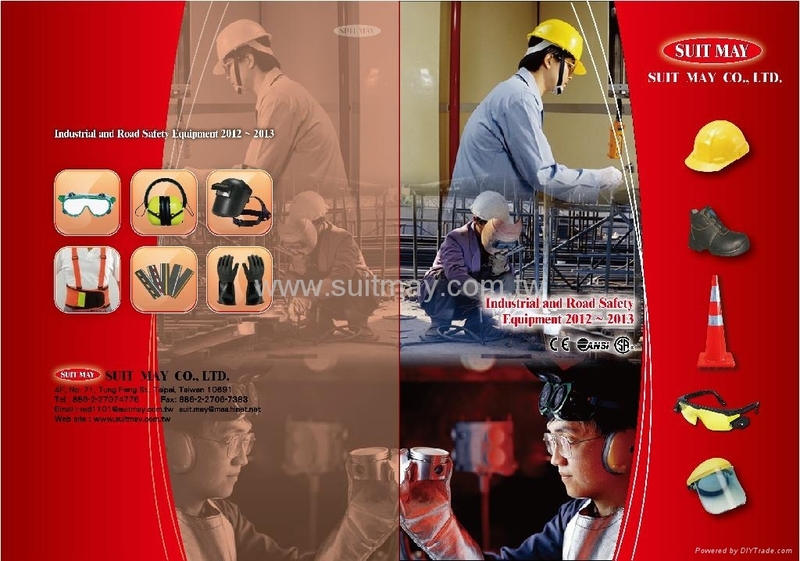 SUIT MAY was registered in year 2004 who is the leading supplier of INDUSTRIAL SAFETY and ROAD SAFETY products in TAIWAN, whereas his parent company - SUIT IN was registered in 1993 and is specialized in ESD & ANTI-STATIC & CLEAN ROOM products as professional manufacturer and exporters in TAIWAN over the past years. - Tapes such as anti-slip tapes, aluminum tapes, glow-in-the-dark tapes, warning tapes, photoluminescent tapes etc. - Gloves such as : cotton gloves, leather gloves, rubber gloves, nitrile gloves, latex gloves, pvc gloves etc. - Barrier fences & Traffic triangle. - PVC boots ..... and so on. Products meet CE / ANSI / CSA approvals. For more details, please visit our web site: www.suitmay.com.tw for details. - Anti-Static Clean Room clothing (SR: 10e6-7). - ESD trolley ....and so on. Please visit our web site: www.suitin.com.tw for more information. Good products, Competitive prices and Best Service. We stand ready here to serve you. Please feel free to send us your inquiries, our sales teams will respond to you shortly.